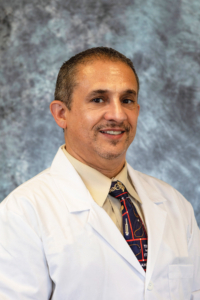 Wednesday, March 27, 2019, VERO BEACH: Cleveland Clinic Indian River Hospital welcomes Julio Pagan, MD, FACP, MBA. Dr. Pagan earned his medical degree at the University of Tennessee and later a Master of Business Administration at Florida Institute of Technology. He completed his medical internship and residency at Baptist Memorial Hospital in Memphis. Dr. Pagan is board certified in internal medicine and is a member of the American College of Physicians and American Medical Association. He has special interests in infectious disease, geriatrics, cardiovascular medicine, chronic disease management and preventative medicine. Throughout his career, Dr. Pagan served on numerous medical committees and has held the title of medical director, chief of staff and chief medical information officer. He was the presenter for community seminars in osteoporosis prevention, cardiovascular disease prevention and was featured in an ‘Ask-a-doctor’ segment for a Tampa Bay television news station from 2002-2003. Dr. Pagan is accepting patients at Primary Care South, located at 4165 9th Street in Vero Beach. To schedule an appointment, call 772.569.7706.